The Avalon Quilters Exhibition of Members Work presents a broad range of quilts every single year – everything from contemporary ideas to antique quilts and those that are based on historical quilts is shown and the makers are on hand to explain where they came from and what they’re about. 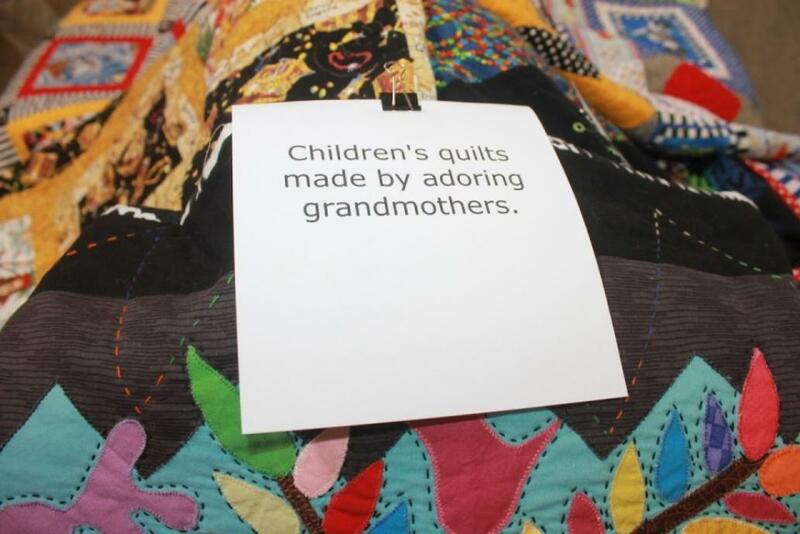 Visiting this annual Quilting Show is a treat of being educated in the intricacies of what forms a quilt, what kinds there are and where the historical ideas incorporated into some stem from. 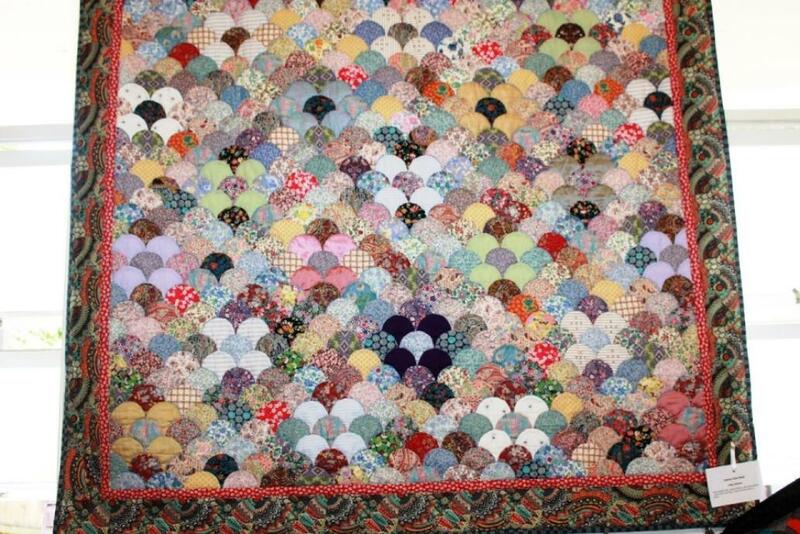 One example is the 1898 Spanish-American Fundraiser Quilt made by Kate Khan. The original has 874 names including names of ranked military and notables such as embroidered signatures of President William McKinley and others.. Each block had a center disc with historical references to names of battleships and events in the Spanish American War. 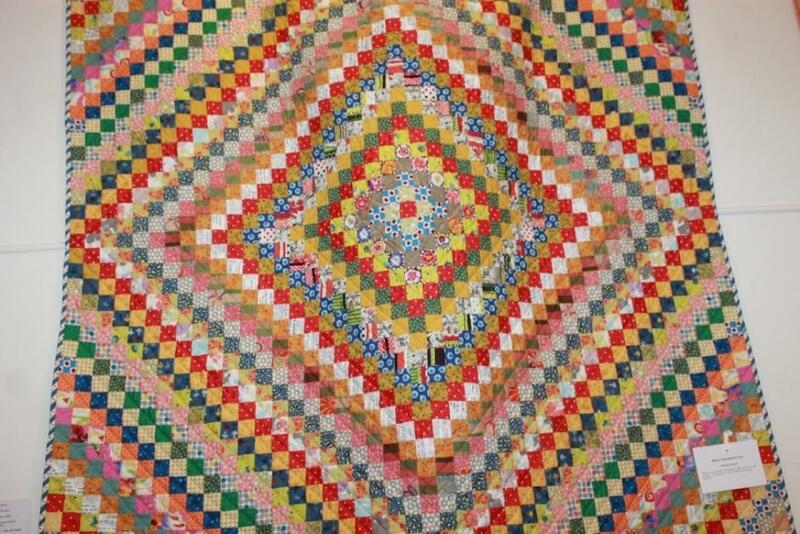 Another is Anne Perry’s version of the well known Jane Stickle Quilt – a much loved masterpiece made during the Civil War and completed in 1863. 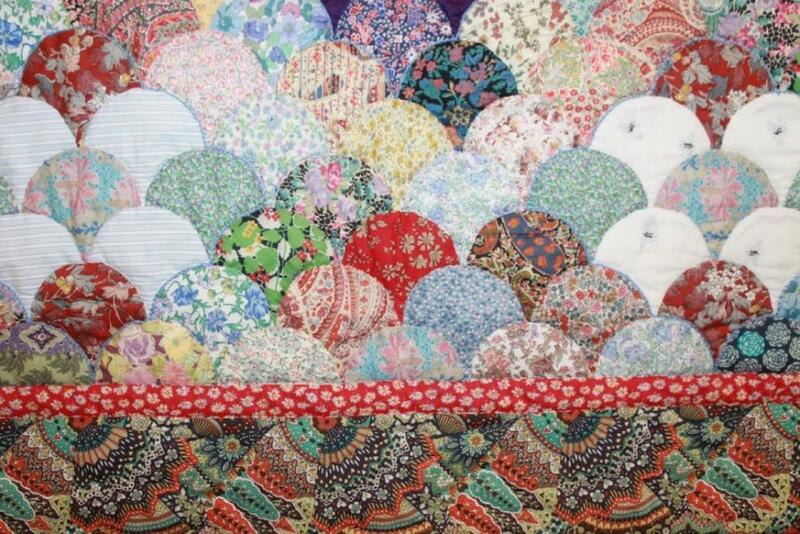 This is a sampler quilt, comprised of 169 square blocks, each one different. 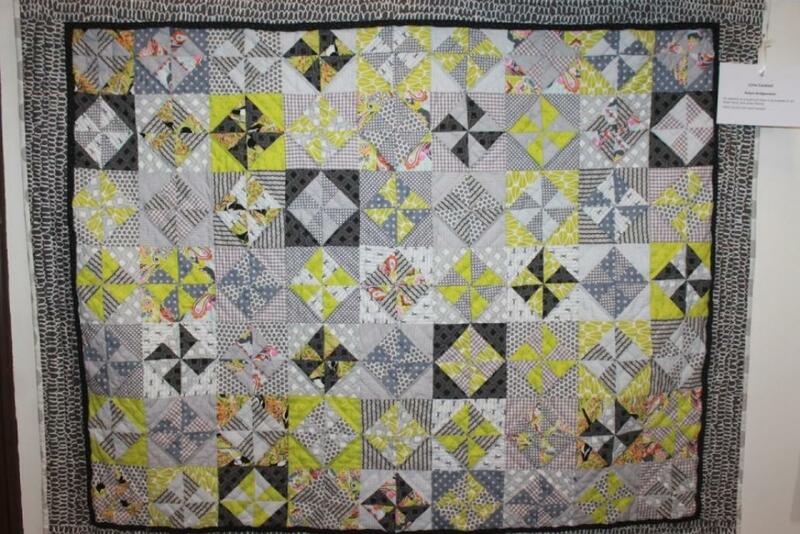 There are also 4 pieced corner triangles, 52 pieced border triangles, and a unique scalloped border. 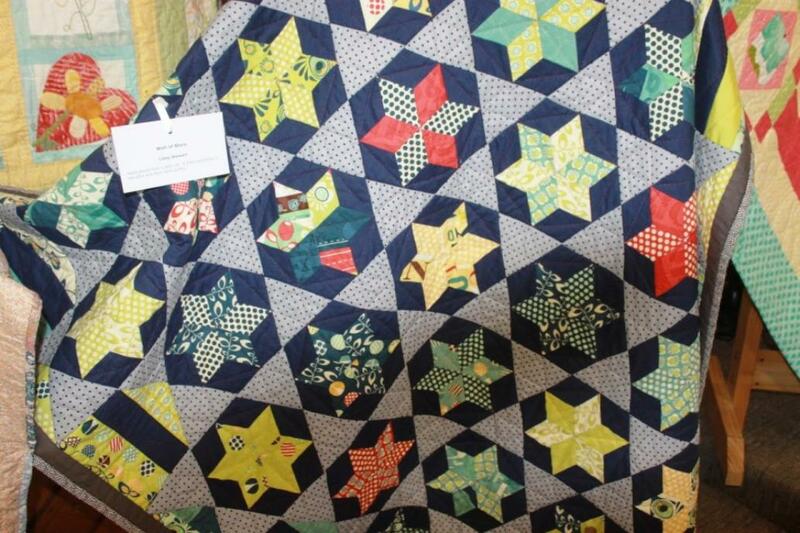 An astounding total of 5,602 pieces in this quilt!. Anne’s is mostly foundation pieced (a sewing technique that allows maximum stability of the work as the piecing is created, minimizing the distorting effect of working with slender pieces or bias-cut pieces - Originally pieces of scrap fabric or muslin were used as the foundation, cut to the size of the desired block, which is then sewn onto). Anne’s ‘It’s Jane Again’ version was all hand quilted. 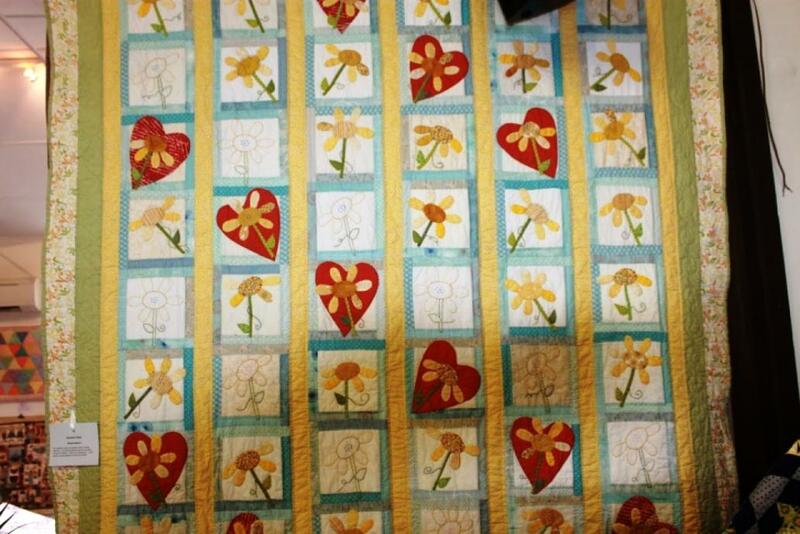 A book called Dear Jane: The Two Hundred Twenty-Five Patterns from the 1863 Jane A. Stickle Quilt, published in 1996 by Brenda Manges Papadakis may be of interest to those who want to now more about this amazing quilt. 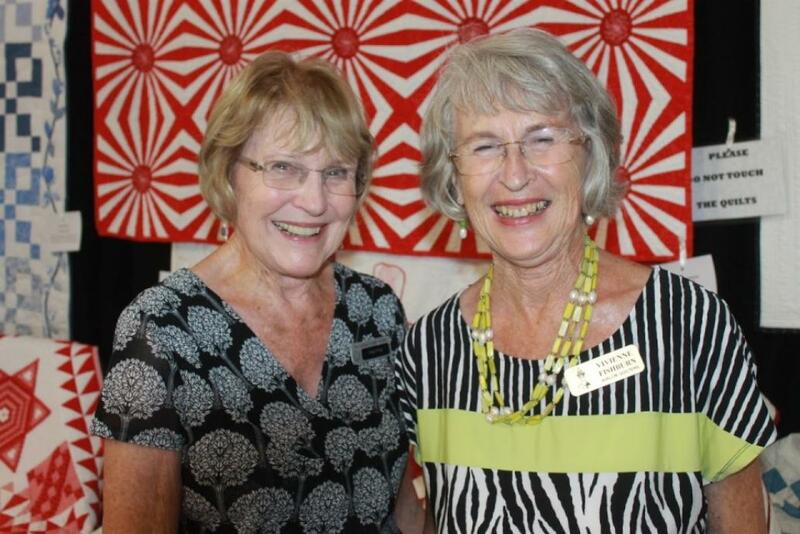 Quilting teachers such as Vickii Banfield and Julie Clarke were visiting the show on Friday, as was Bridget Giblin, an Australian quilt designer and teacher who has been making quilts in the naive, antique and traditional styles for over thirty years and one of Australia’s finest designers and teachers. 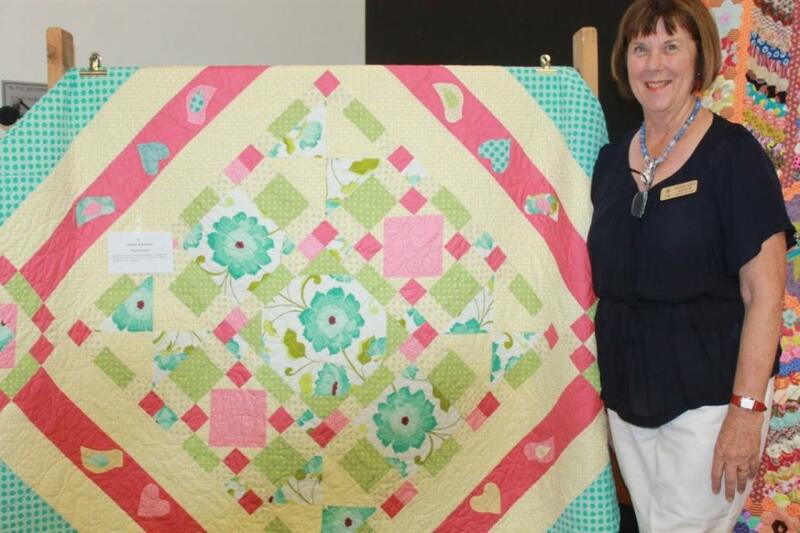 Bridget Giblin with one of great Quilting books - No 2! 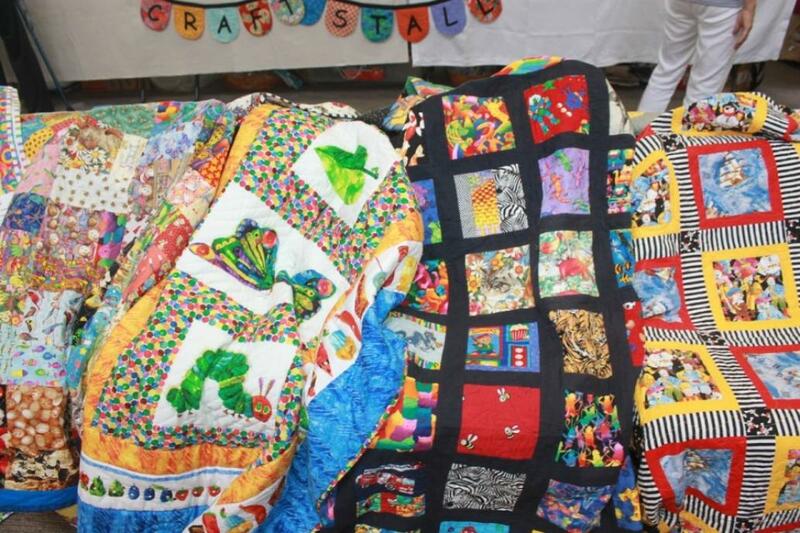 As well as the Avalon Quilters Members hand pieced quilts on display there were a small show of 2 colour quilts, a craft stall with hand made items, vintage books, fabrics, laces, braids and buttons. 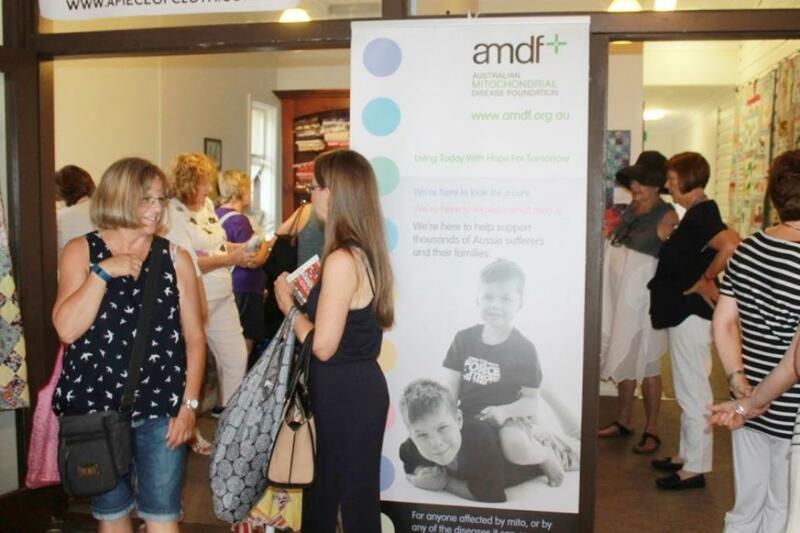 The Avalon Quilters annual Members Works Exhibition Proceeds go to the Australian Mitochondrial Disease Foundation (MITO) each year, the Avalon Quilters nominated charity. 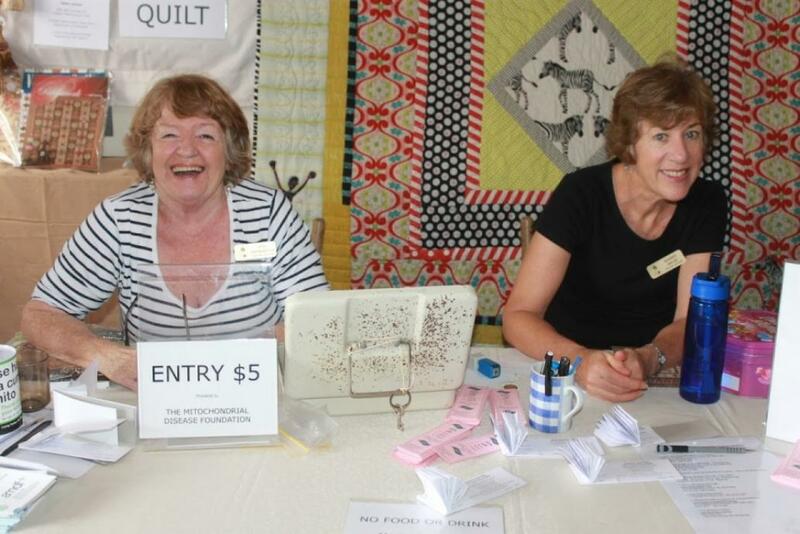 This year the Raffle Quilt ‘Ladies Leaping at the Zebra Crossing’ was won by Babette from Bayview. Congratulations Babette, a wonderful prize. 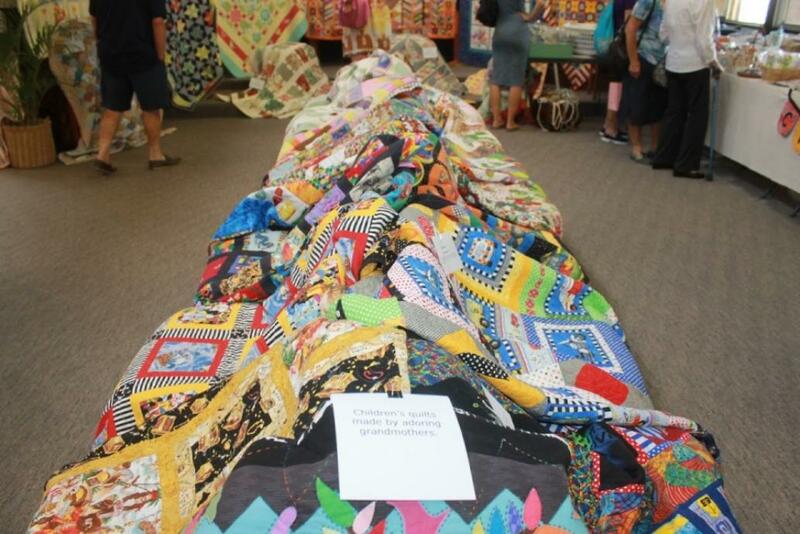 With so many beautiful quilts on display, an album of photos with the barest minimum information about each has been uploaded so readers may see all the wonderful handmade creations that formed part of the Avalon Quilters 2016 Exhibition of Members Works. 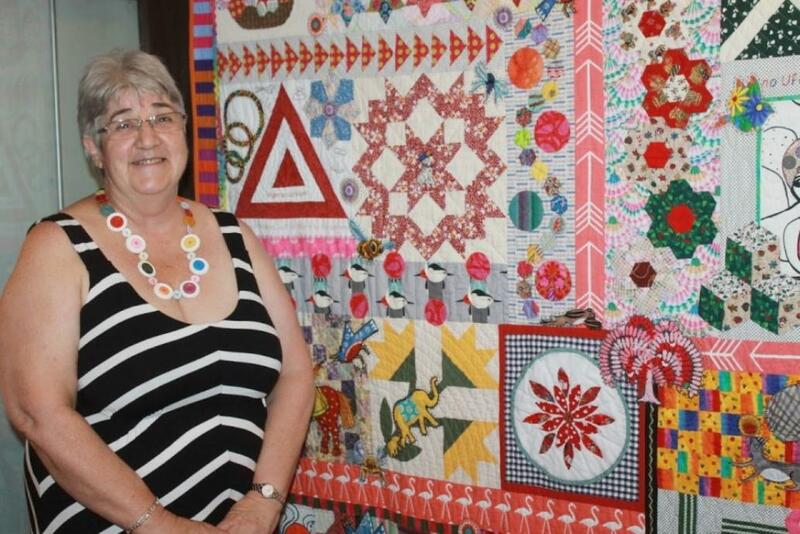 The best thing you can do is go along to the next Avalon Quilters Exhibiiton of Mmebers Works in 2017 and hear about what is in each quilt from their makers. Trish Bloomfield with her quilt 'Everything but the Kitchen Sink': Trish started with orphan blocks than added some techniques she wanted to try (such as 'chicken scratch') - this wonderful result, with its variety of quilting techniques - this one was photographed for Australian Patchwork & Quilting magazine - the go to resource for everything you will need to find block patterns. 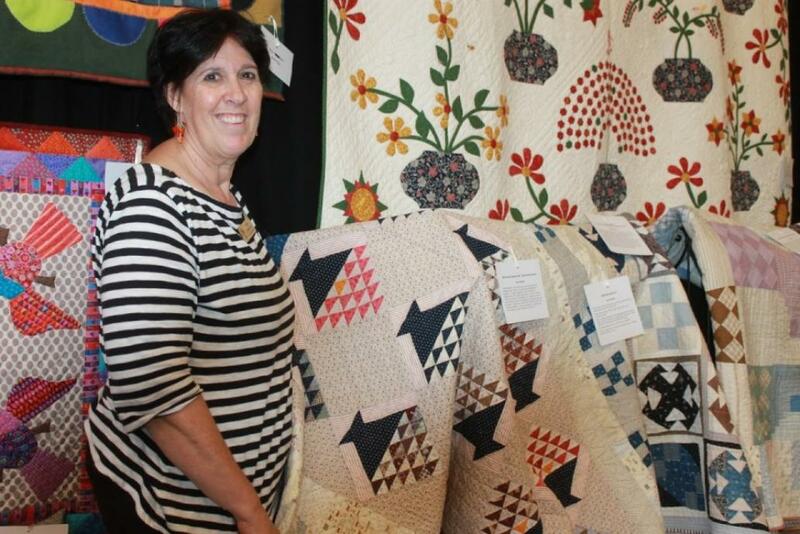 Jane Powell with some of her Antique quilts - amazing stories here just in the first one! Avalon Quilters placed this display n the centre of the entrance room this year for all those little fingers that just have to touch these vibrant colours - these quilts are all in use!